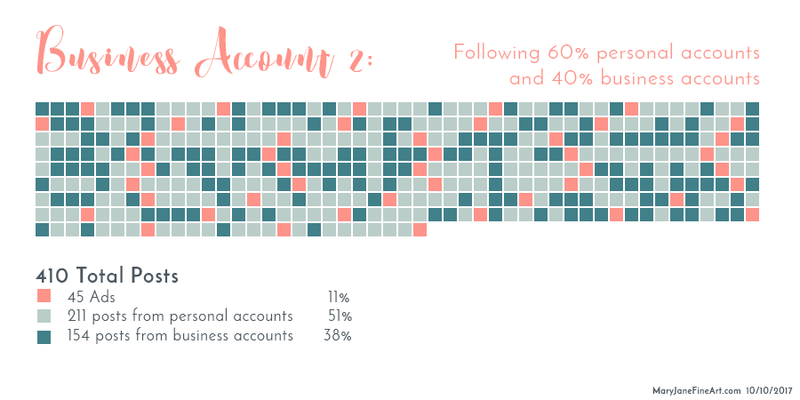 Instagram Business Accounts vs Personal Accounts? Which one should I choose? I hear this question every day. And while there are a lot of rumors out there and negative ‘experience’ I can’t seem to see those changes on my accounts. We mustn’t forget that Social Media and Instagram, in particular, is changing very fast. Many Instagram users apply old strategies – or none at all – and therefore experience a decline in engagement and reach. “But I use Instagram like this since years and it worked! So what I do is right and the system is broken or wrong.” YEAH – NOPE! So let’s get back to the initial question on whether you should switch to an Instagram business account or not. 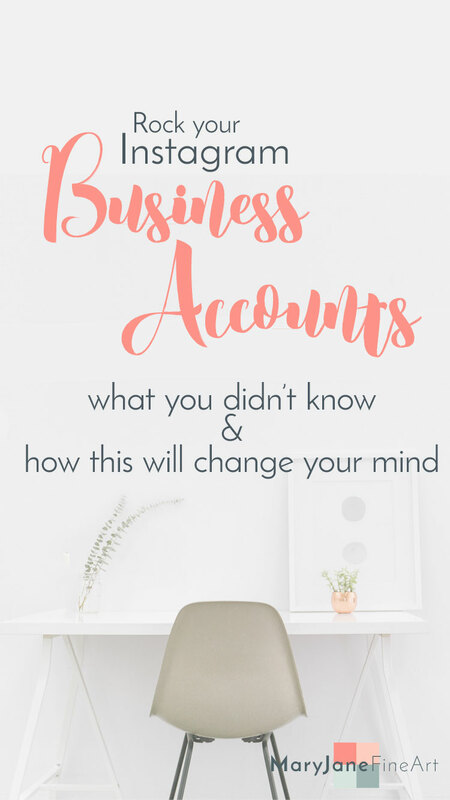 My answer was always the same: “there are always pro’s and con’s for the business accounts… blah-blah… people experience a decline in engagement… blah… we don’t know where IG is heading. So it is your personal choice to do it. I can just say that I don’t regret switching and would do it all over again.” Well, this was my answer until yesterday. What happened? Facebook is doing it for quite some time now. They want us to be engaged and entertained. They want us to see different things that are of interest, both to us personally and what is popular globally. This is why the algorithm shows us Account-, Page- and Group posts in our feed. No one really knows how the algorithm chooses which ones to show us. So the question occurred if Instagram is doing the same. I took a paper and my Instagram accounts and did some math. Let us begin with my personal private account. This is where I share pictures of my family and private stuff. I follow mostly family and very close friends on their personal accounts and crafers/creators these make 72% of my following. 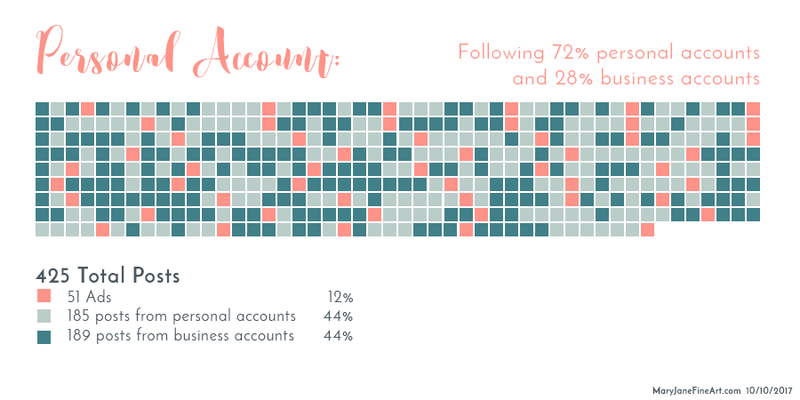 The other 28% are business accounts from crafters and makers who are selling mostly in their Etsy shops. 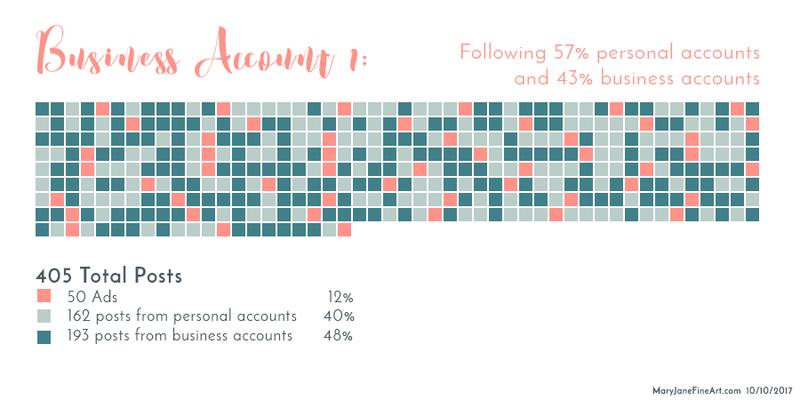 Although I follow 3x as many personal accounts the number of posts I see from personal vs business accounts is the same. To be honest, with this huge difference in Accounts I follow I would have guessed that there would be a huge gap in the posts I see too. Here I am again surprised by the result. Because of all the *felt* negative experience I hear from all sides I expected the result to be the other way around. Again I follow way more personal accounts. But more posts of business accounts show up in my feed. What I noticed though was that the artists that switched to a business account did also apply other strategies that I have listed below. They have done their homework and instead of blaming someone else for changing their free service, they analyze what is going on. Not only did Instagram grow like crazy in the last couple of months, but with this Instagram Stories and Lives people are using the platform different than they did last year. Knowing this and adjusting your strategy accordingly is the key to rock Instagram. So instead of asking: ”What is better: Private or Business Accounts?’ you should ask: How can I provide a better experience for my followers and make them engage more with my content? If you need more help with your Instagram strategy please use the contact form to get in touch with me (while I am still procrastinating to setting up the services page) and leave a comment below. This was the best read today! Glad you stopped by and liked the post. Also thank you for taking your time to comment. Much appreciated. Thank you for sharing this information 😸 Very helpful.